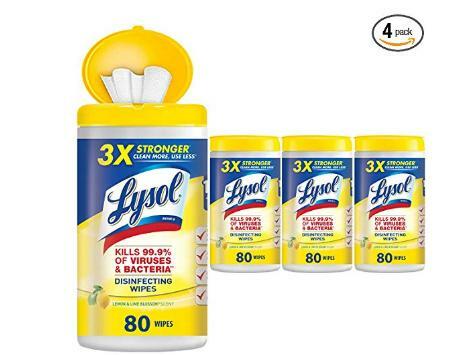 Lysol Disinfecting Wipes, Lemon & Lime Blossom (Pack of 4) – Only $10.34! You can never have too many of these! Head over to Amazon where you can get Lysol Disinfecting Wipes, Lemon & Lime Blossom (Pack of 4) for only $10.34! Just make sure to clip the $2 off coupon found under the price AND checkout using Subscribe & Save! Keep in mind, Amazon pricing can change at any time! Don’t wait to purchase this deal or it might be gone when you come back!